With over a decade of experience at a huge variety of magazines — from personal finance and religion, to lifestyle, fashion and beauty — I'll turn your magazine into a thing of beauty. My rates are affordable, and because I work efficiently and quickly, you'll get major bang for your design buck. I'm at expert at creating major visual punch with minimal budgets. My goal is to help you increase ad sales and readership. And hopefully win some awards along the way.. Choosing the right fonts, colour scheme, imagery direction and developing a distinctive look and feel is crucial to a magazine's success. With experience in both redesigns (Weddingbells & The Presbyterian Record) as well as new launches (The Kit & INBETWEEN), I can make your new launch stand out to advertisers or refresh your current brand to attract new readers. Designing successful advertorials that grab readers attention by blending into a magazine's editorial content is tricky. But I know how to find exactly the right balance. I've designed advertorials for brands including Air Canada, Casper, Holt Renfrew, Save-on-Foods, CIBC, and Castello di Gabbiano wines. Readers are eager for content, even if it's directly from a brand.The key is to deliver information that is genuinely useful to them, and in an editorial style format that is visual and fun. I've mastered how to seamlessly blend brand promotion and really great content, delivered to your audience in a beautiful and exciting package. I've designed highly successful custom content for brands Murale and Air Transat. The ability to reach your audience on multiple platforms is more important than ever. From broadsheet format and standard print layout to online-only digital issues and interactive magazine app design, I can help you reach your audience any way you need. FROM A SMALL DIGITAL START-UP THAT'S BLOWN UP INTO A MAJOR PUBLISHING PLAYER, TO A HISTORIC 138-YEAR-OLD MAGAZINE IN DESPERATE NEED OF A REDESIGN, HERE ARE SOME HIGHLIGHTS FROM MY EDITORIAL CAREER. 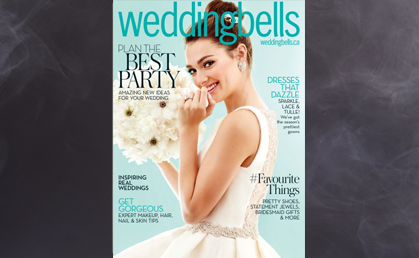 As Art Director of Canada's best selling bridal magazine for three years, I completed a full redesign and was nominated for both a National Magazine Award and P&G Beauty Award for Best Layout. The highlight of this project was collaborating with the country's top photographers and stylists to create a wealth of original content, including on-location shoots, fashion & beauty features, off-figure beauty, food and accessories. 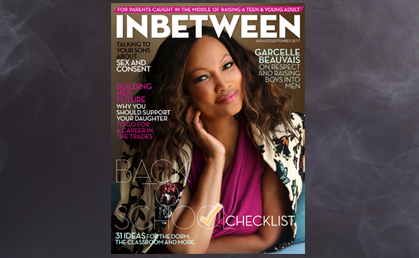 This digital-only magazine fills a void in the parenting genre with a focus on parenting teens & young adults. The unique challenge with this project was creating an elegant magazine with bold imagery while working with a tiny art budget. I've worked around this obstacle by working creatively with typography, using design elements in unexpected ways, and by becoming an expert at sourcing inexpensive high-quality images. With a rich history spanning 138 years, I was brought onto the Record to give it a visual refresh. For the redesign, I focused on two things: finding the perfect type hierarchy and developing an exciting cover format, which included commissioning the world's top illustrators for cover illustrations, . After introducing the redesign,The Record was awarded 13 first place design awards in Canada and the U.S.A.
A true editorial success story, The Kit began as a small digital-only magazine, but ballooned into a hugely successful mutil-platform force. As the original Art Director, I was tasked with developing the look and feel of the brand, and extending that from digital to broadsheet print, then into an apple and android mobile App as well as an interactive tablet magazine. It was one of the first of its kind internationally. I'd love to chat about making your magazine look award-worthy incredible. Email me at caroline@carecreative.ca or simply fill out the form below. I'll respond quickly so we can get started right away.